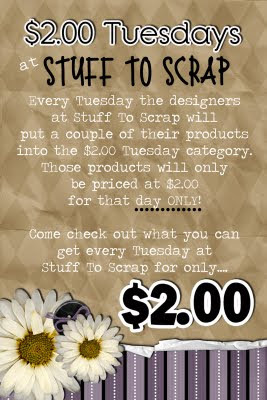 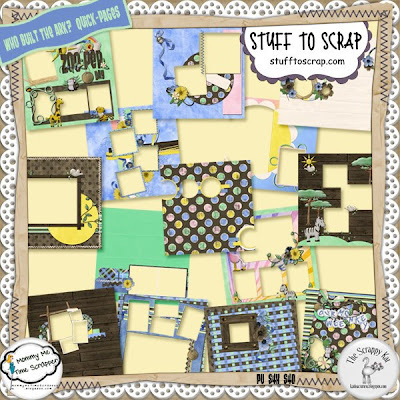 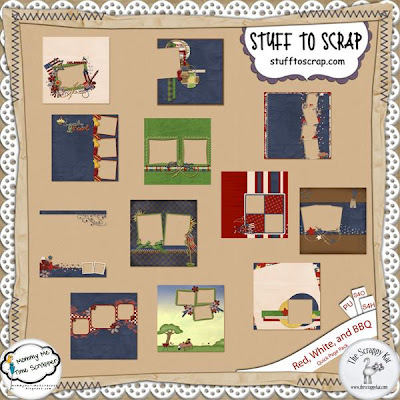 It's $2 Tuesday over at Stuff To Scrap and The Scrappy Kat & Mommy Me Time Scrapper have a special treat for you this week. 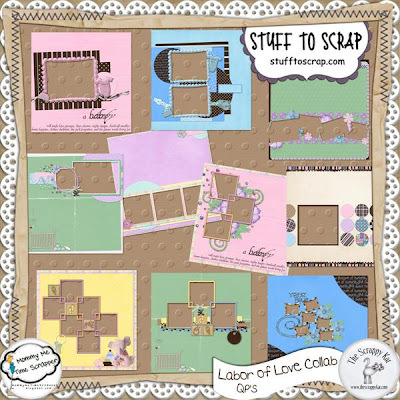 All brag book & quick page sets from The Scrappy Kat & Mommy Me Time Scrapper collabs are in the $2 bin today. 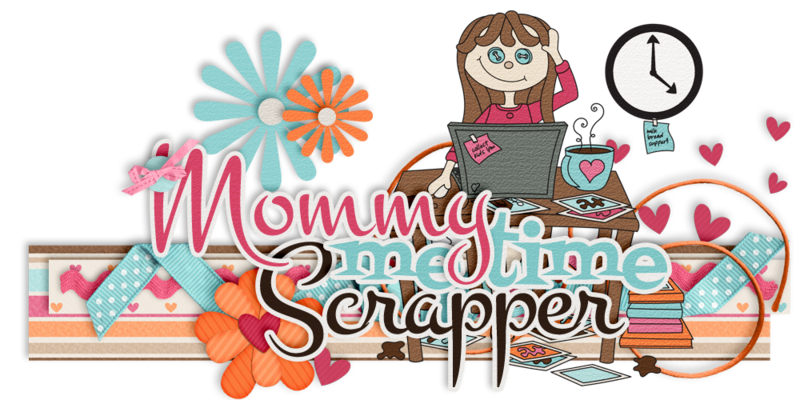 Hurry over & save before they are taken out of the bin at midnight!